Wewolf is a Los Angeles based multi-disciplinary dance collective that is focused on creating and working on different projects that bring their methods of dance and visual arts together. 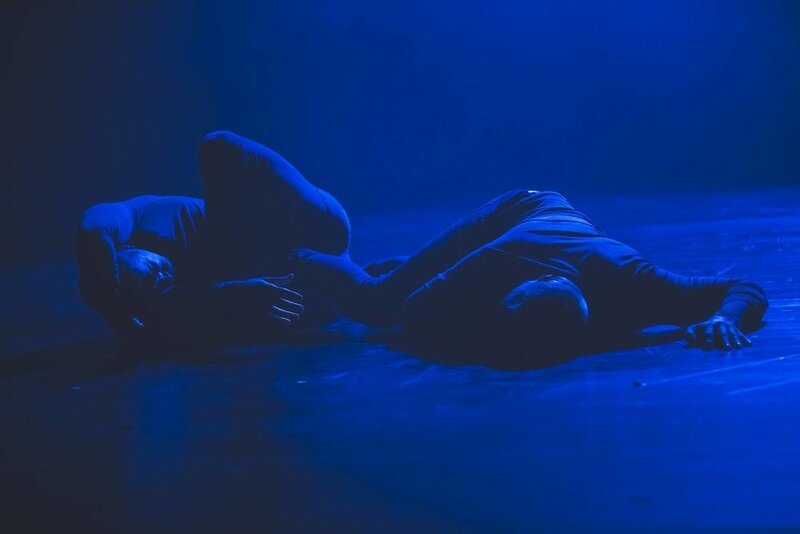 Even though RubberLegz and James are from different backgrounds, they have the same views on the way they see dance and how they want to translate their two voices into one cohesive choreographic method. The mix of Rubberlegz’s self made abstract break technique with James’s background in contemporary, ballet, and urban dance has created a new visually dynamic style of movement. This language has made a splash in not only the dance community, but with creators in many different genres of the arts. Wewolf is interested in pushing boundaries in their work yet at the same time inspiring people world wide with their creativity. They are a fusion of urban and contemporary dance like you have never seen before. a childhood hobby into his life’s work and passion. 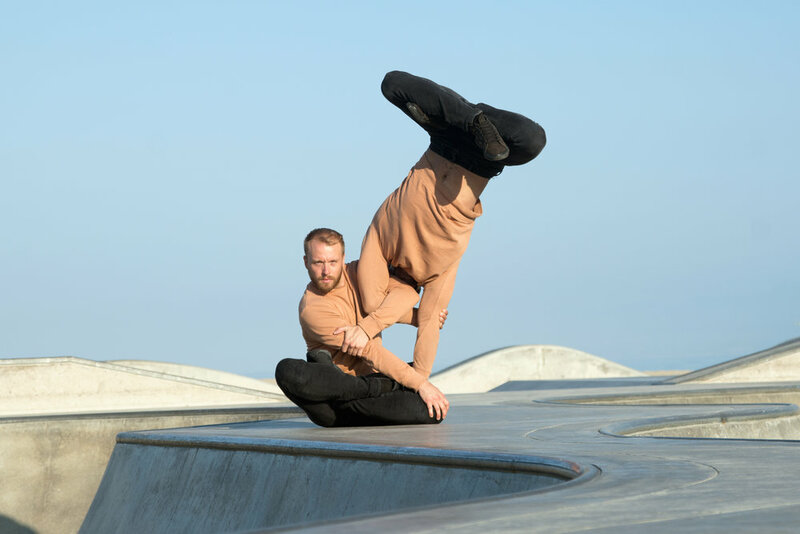 Aptly dubbed “RubberLegz” for his ability to miraculously contort his body into unthinkable shapes and positions, this breakdancing phenom competes in and judges dance competitions as well as teaching workshops all around the globe. Rauf Yasit is a multi-disciplined tour de force. He recived his diploma in 3D-Vizualisation and Animation in Switzerland and has years of experience working in professional design agencies as visual artist. He then moved to Berlin and worked as a freelance artist in both design and dance. Today he is a known world wide and is a respected artist with his very own unique style. He is now living in Los Angeles focusing on projects, bringing his photography, design and dance skills together. Colorado born, Oklahoma raised. James Gregg is now an international choreographer.He has created choreographic works on Whim W’Him, Danceworks Chicago, Dark Circles Contemporary Dance, Ballet X, Northwest Dance Project, Nashville Ballet's Emergence, Springboard Danse Project Montreal, River North Dance Company, Elements Contemporary Ballet, Cirque du Soleil at Sea and L’Ecole Superieure de Danse de Quebec. Most recently, James was the recipient of the prestigious 2015 Princess Grace Choreography Fellowship Award. He was also the winner for Ballet Austin's 2014 New American talent choreographic competition, a finalist in Milwaukee Ballet's 2013 Genesis Choreographic competition, and in 2011 the winner of the International Choreographic Competition at Festival des Arts de Saint-Sauveur. As a performer, James has worked with Bodytraffic, Les Ballet Jazz de Montreal, Aszure & Artists, Rubberband Dance Group, and River North Dance Company.Throughout his career he had the opportunity to do the works of many renowned choreographers including Victor Quijada, Barak Marshall, Aszure Barton, Crystal Pite, Rodrigo Pedernieras, Frank Chauves, Danny Ezralow, Mauro Bigonzetti, Annabelle Lopez Ochoa, Cayetano Soto, and more. James also has been featured in several music videos, feature films, and in TV documentaries and specials. Elton John, Lyon, Kresha Turner, Ils Dansent, On the road, and Soul Survivors are a couple of examples of this. 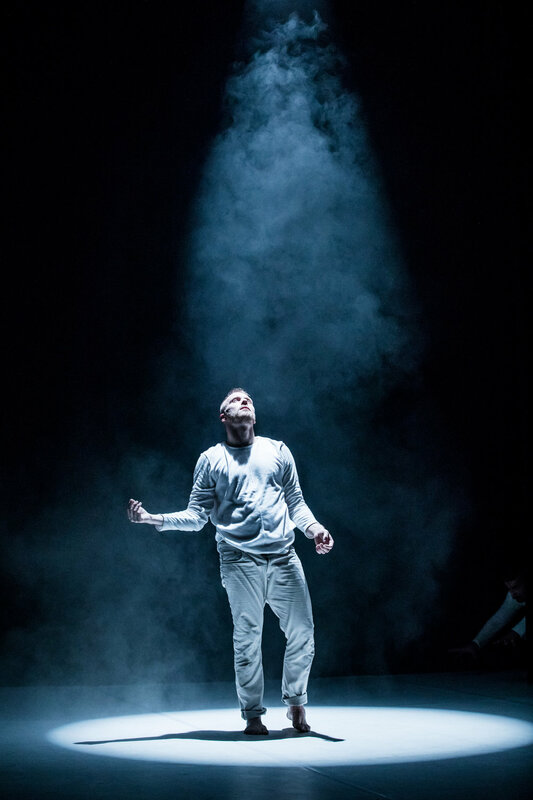 These experience to work with such a variety of artists and different artistic avenues has given James the tools to create his own language and helped mold his choreographic voice and vision. His biggest interest is to create movement from the inside out and exploring different paths and routes through which the body can move. Discovering how these various avenues can evoke emotion and how those emotions translate throughout the body.